One of the best pieces of advice that I have received was to create centers that could stay the same throughout the year. Over the years I have added more and more centers to my rotation that require little to no prep and that has saved my sanity! 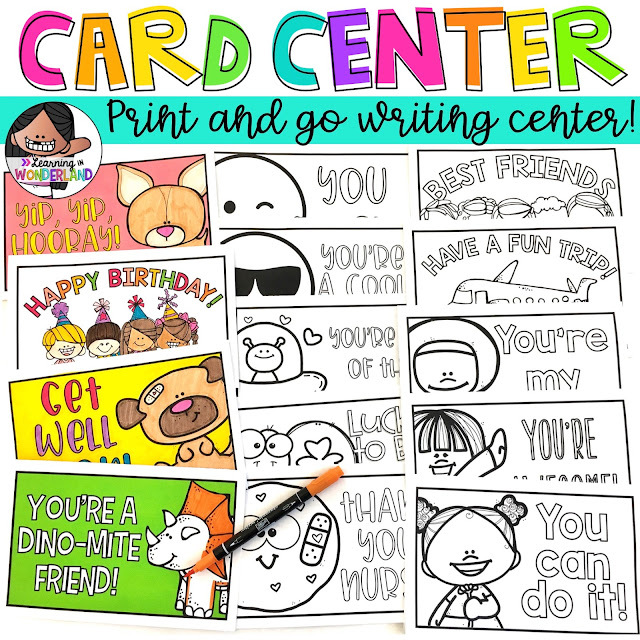 One of the centers that has worked super well for my class is the card writing center. It’s a favorite every single year! Since this station is in the rotation each week, the kids know exactly what to do when their group is assigned to this center. This means that I don’t have to explain how to do it and the kids don’t interrupt my group during small group time. The main goal of centers is to keep the kids engaged, working, and practicing while the teacher works with a small group of children on targeted skills. The best thing about this center is that it requires no prep work! You heard that right. No cutting little game pieces, laminating, or sorting anything! All you have to do is copy new cards for the week and you’re done! You don’t even have to fold the cards for the kids. They can handle it without a problem. I had been using the same template for the past four years and it was time for an overhaul. I can't wait for my kids to see all the options! 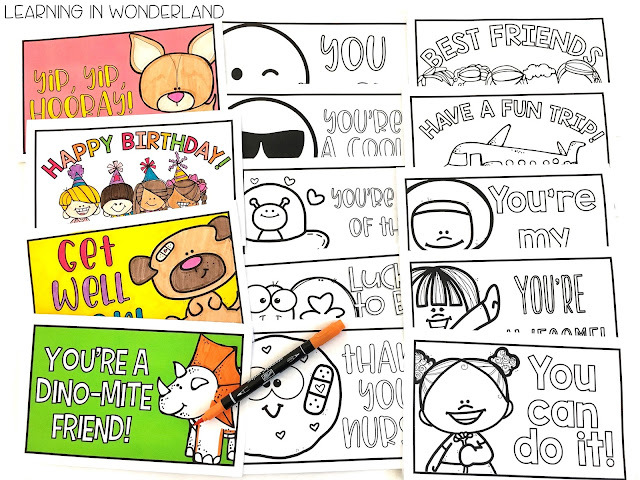 You can choose to leave the inside blank or add lines. This file includes three different sized line templates that you can use to add lines inside the cards. There are OVER 50 designs that are included with more to come! You can check out the video below to see more card choices. When you introduce this center, make sure to model it and practice completing cards as a class. It also helps to have a couple of samples in the bin (or wherever the materials are held) just in case they need a little refresher. Have lots of copies ready to go. I suggest two or three designs at a time. I let my kids make as many cards as they would like during their time in this center (as long as the work is neat and complete of course). In a period of 30 minutes, my kids usually make one or two cards. Designate a place for your kids to place their cards when they are done. I picked up a mailbox from Lakeshore and it works perfectly! Our class “postal pal” passes them out at the end of the week. My kids LOVE to write cards for their friends and family. I'm sure yours will too! Great post! I completely agree that the goal of center is to keep kids from interrupting small group. 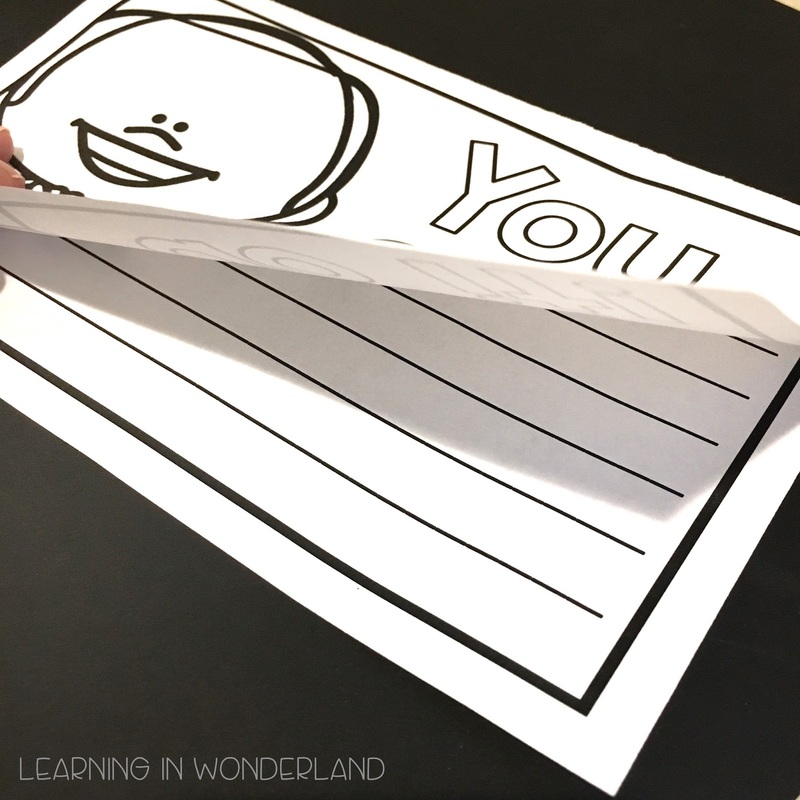 Year long centers are a great way to do that and these writing cards are great to improve handwriting and getting in writting. I just have one question: when do you introduce centers during small group or as a class? When I first introduce centers at the beginning of the year, I run them as whole class activities. So one day I will model how to write cards and the whole class will write a card. The next day I'll introduce something else the same way. I do this for at least two weeks. Then the next two weeks we'll begin center time but I don't pull groups yet. I focus on making sure they know the appropriate noise level, where to get their materials, what to do if they finish early, who to ask if they need help (since the teacher is supposed to be with the small group) etc. Once I know that they can handle centers with no teacher help, I'll start pulling small groups. 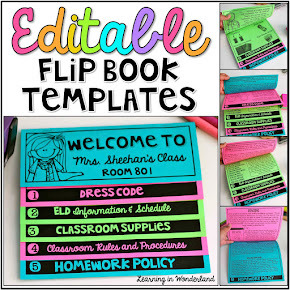 I know it's a slow start and we teachers want to get started with small groups right away, but spending the time in the beginning teaching procedures and making sure everything runs smoothly will pay off in the end. Product Updates for Brights Fans!